During an initial fact-finding tour in Central America and Mexico, Bill Harris makes contact with many producer cooperatives and meets Monika Firl, then working with coffee-farmer coops in Chiapas, who five years later would be moving to Canada and take charge of Cooperative Coffees’ Producer Relations and Purchasing. Inspired with the idea of creating a “First-of-its-Kind Fair Trade Coffee Roaster Coop” – Bill embarks upon another road-trip. This time he scouts out the Midwest and eastern USA and identifies the seven original roaster members: Bongo Java, Cafe Campesino, Dean’s Beans, Heine Bros Coffee, Larry’s Beans, Los Armadillos (now Third Coast Coffee) and Peace Coffee. In November, an organizational meeting is held in Atlanta and shortly thereafter Cooperative Coffees is legally founded and registered in the state of Minnesota on December 21 1999. Our first full container loads are imported from Guatemala, Mexico and Sumatra. 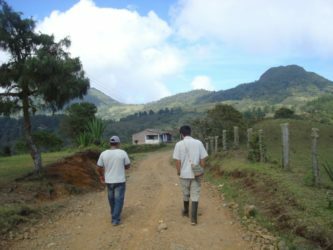 Guatemala: Since Bill’s earliest visits to Guatemala, we are in contact with APECAFORM – a long and trusted producer partner. Mexico: Mut Vitz, the first Zapatista coop capable of direct export, becomes an inspiration and meeting place for many of our early roasters. Likewise, they are the first roasters – along with Kerry Appel of the “Human Bean Co” – to offer this coffee in the North American market… and support a new future for communities in the Highlands of Chiapas. Sumatra: Via our relationship with Forestrade, the initial export channel for Sumatran Fair Trade and organic coffee, we begin direct imports from PPKGO. In 2003, Dean Cycon of Dean’s Beans and Mel Megan of Peace Coffee participate in the “Coffee not War” friendship tour in Aceh, Sumatra. Cloudforest, Alternative Grounds and Bean North all join the coop in early 2000. Cafe Rico, Pura Vida, Fonseca Coffee and Coffee Exchange join the coop in December 2001. The 1st Annual General Meeting of membership is held in Minneapolis, MN and hosted by Peace Coffee. We add new trading partners from Ethiopia, Nicaragua, and East Timor. 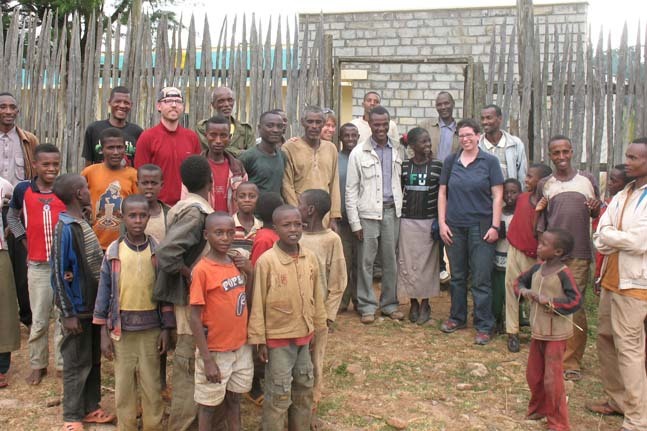 Ethiopia: Bob Bernstien of Bongo Java, TJ Semanchin (then) of Peace Coffee and Dean of Dean’s Bean take the first fact-finding trip to Oromia Union. Cooperative Coffees purchases the first Fair Trade and Organic Sidamo and Yirgacheffee coffees available in the North American market. Nicaragua: At the recommendation of brothers Charlie and Bill Fishbein – we visit a “new union of coffee producer cooperatives based in Matagalpa. We resonate with their founding director Pedro Haslam, and begin what turns out to be a long and rewarding relationship with CECOCAFEN. East Timor: Cooperativa Cafe Timor comes on to the Fair Trade scene and Coop Coffees is one of the first to begin importing this new source to North America. Monika is hired as Cooperative Coffees first employee, and a Producer Relations “office” is established in Canada; meanwhile, she has acquired a new side-kick (her daughter), an eager, young travel partner. 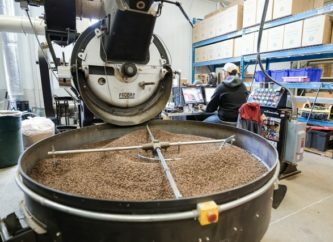 The Early crew in Madison starts up a coffee roasting company in order to offer support in a sustainable way to Autonomous Communities in Chiapas, Mexico and in October 2002, Just Coffee becomes the 15th member of Cooperative Coffees. Deans Beans hosts the 2nd AGM in October 2002 at their new roastery located in Orange, MA. Cooperative Coffees supports the FLO registration of Maya Vinic and purchases their first container of organic coffee. Maya Vinic – a coop founded with some 500 producers who came together out of the turmoil and tragedy of the Acteal massacre – are soon on their way to becoming a self-sufficient, exporting coop and successful supplier of roasted coffees to their local and national market. We import our first container from Peru, thanks to a commitment and prior relationship Dean’s Beans had developed with the Cooperativa Agraria Cafetalera Pangoa. We begin another stable and highly rewarding relationship. We hold our AGM in Americus, GA September 2003. Through a combination of serendipity and good luck, we end the meeting with an opportunity to lunch with Former President Jimmy Carter and his wife Rosalynn, resulting in friendly communication for future encounters. Chris and Jody Treter continue to cross paths with Cooperative Coffees, in conferences and the fields. When Higher Grounds Trading Co is legally founded in 2003, they apply and become our 16th member. We receive samples and contact information for Fondo Paez (via roaster-member Alternative Grounds) and begin communicating directly to help them with FLO registration. We import their first container of transitional organic coffee, soon to become one of the prized and most frequently award-winning coffees from our list. 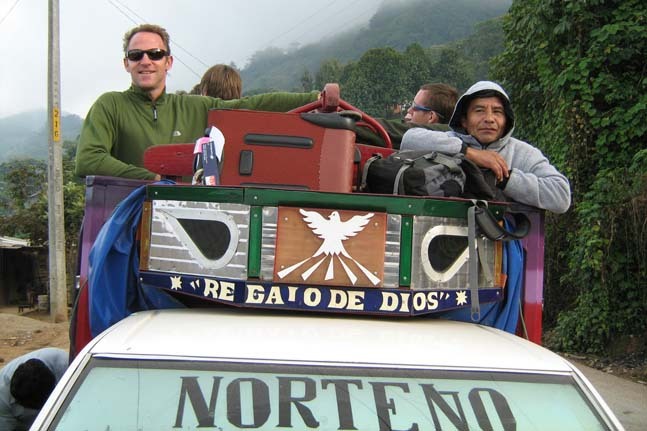 Thanks to a prior relationship with the Just Coffee crew, we meet Santa Anita – Colombo, Guatemala – and support them with FLO registration and their first direct export in March 2004. Since then, the relationship has led to many direct roaster projects to help producers improve production and family income. Abby Trantham is hired as office support in Americus, and continues to date as the Americus office manager. And come what may – she miraculously is able to keep everything flowing smoothly from coast to coast. Coop Coffees co-sponsors, together with Equal Exchange and the FTRN, the forum Fair Trade Coffee: Strategies and Consumer Education, bringing together producers, importers, financers and Fair Trade NGO allies for the first time at the Carter Center in Atlanta. We are graced with an inspiring participation by President Jimmy Carter. Cooperative Coffees becomes a member of the International Federation of Alternative Traders (now WFTO) – a network of traders with “Fair Trade at the Heart” of their business. Our 4th AGM is held in Montreal in September 2004. We originally met Mark and Mel in the coffee fields of El Bosque, Chiapas in 2001. In January of 2004 Conscious Coffees, originally Breckenridge Roasting and now located in Boulder, Colorado, becomes our 17th member. Higher Grounds Trading leads the way in Ethiopia delegations and with support from OROMIA union visit the Harar region; we add this unwashed coffee to our direct purchases. We hold our 5th AGM in Guatemala – our first in a producer country –– with representatives from seven of our producer partners, the majority of CC roasters and Fair Trade allies Kieran Durnien of FLO Centroamérica, Noe Rivera of Maya Cert and Guido Fernandez of the Bank Risk Management team. The Assembly results in the “Xela Accords” – an action statement about Fair Trade, raising minimum prices and building sustainable relationships. During a 1,200 km tour across Bolivia’s infamously treacherous roads, Monika and Mark Glenn discover AIPEP, a community-based coop in Caranavi. We work with FECAFEB to import AIPEP’s first containers, which helps them eventually achieve FLO certification and expand their market options. Dominican Republic – We meet Rufino Herrera, historical leader of FEDECARES, at Cafe Rico during a 2004 tour in Canada. By the 2006 harvest we are importing our first containers directly. Demand for Fair Trade and organic coffees from Guatemala continue to grow and we add Asociación Chajulense and Río Azul as two new sources of excellent quality coffees. Since then we have sent numerous delegations to visit the coops and learn about their development processes. We meet CEPICAFE manager Jose Rojas at the Carter Center forum in 2004 and we stay in contact. When we discover a need for additional Peruvian coffee, CEPICAFE recommends CENFROCAFE, a “sister-coop” member of CEPICAFE located in Jaén and begin a stable relationship as one of our primary Peruvian suppliers. Coop Coffees, with support from Coffee Lab International, CRS, and FairTrade Canada, coordinates with FECAFEB to deliver a “First-Ever” Fair Trade Quality Competition, in Caranavi, Bolivia. We hold our 6th AGM in Raleigh, North Carolina, hosted by Larry’s Beans. Simultaneously, we celebrate the founding of our sister-coop CoopSol (Coopérative de Solidarité du Café Équitable) based in Montreal, to manage the communication and outreach, purchase planning and quality control and the development of special projects between roasters and producer partners. Amavida, Equator Coffee and Desert Sun join Cooperative Coffees, increasing membership to 20 roasters. Montreal office begins staffing with its first interns Sylvie Trottier and Genevieve Paquette; we believe that is cause for celebration! 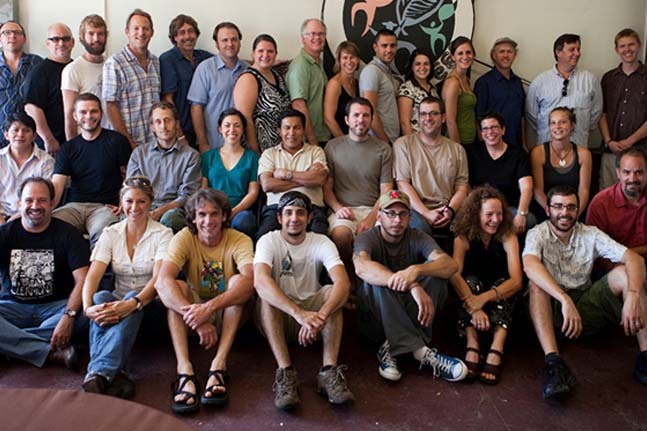 Coop Coffees formalizes a friendly relationship with the Business Alliance for Local Living Economies (BALLE) and presents Fair Trade workshops at their 2007 and 2008 conferences in Burlington, VT and Boston, MA respectively. Through our Fair Trade friend, Dan Jaffee, we are introduced to MICHIZA, an indigenous coffee farmer coop working throughout the department of Oaxaca, soon to become one of our primary suppliers of organic Mexican coffee. Following our participation at the EAFCA conference, we visit Rwanda with Just Coffee. We begin purchasing and promoting Misozi and then COOPAC coffees from the Kagera River Basic and Kivu Lake regions, respectively. Coop Coffees and CoopSol hold their Assembly meetings in Matagalpa – facilitated by our Nicaraguan partner CECOCAFEN. Some 70 participants representing roaster members, producer partners, and Fair Trade allies come together for a week of workshop, discussion and exchange. Worker-members from the coop Café Cambio in Chicoutimi, QC participated in the “2005 Xela Accords experience” and meet many Coop Coffees members for the first time; in 2007 they become the 21st member. Meanwhile, another roaster coop is getting set up in Viroqua, WI – and Kickapoo Rosters becomes the 22nd member. At the encouragement of Community Action Network (CAN) leader Ernesto Mendez, we visit their producer partner in Tacuba, El Salvador: ACOES. We discover a “perfect match” for Coop Coffees roaster-producer partner profile preferences and delightful coffee in the cup. Chelsea Carter joins the Americus team in charge of import logistics and compliance with fair trade and organic standards. CoopSol moves into an independent office space as our technical team grows with Florent Gout in charge of purchasing and logistics and Shannon Ripley assisting with communications. Our 8th AGM is held in Traverse City, MI hosted by Higher Grounds Trading. 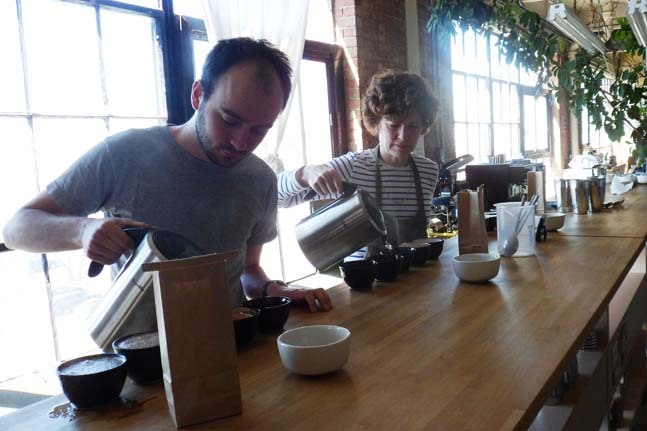 Vermont Artisan Roasters, Third Coast Coffee Roasters and DOMA Coffee join the cooperative. Coop Coffees marks TEN YEARS of learning, growing, and living fair trade. The celebration fittingly takes place in Americus, GA – the birthplace of the coop – following the SCAA conference in Atlanta and during sister coop, CoopSol’s annual assembly. It is a spectacular event with representatives from several producer coops and close allies of Coop Coffees along with a many of our roaster members. A great time is had by all! The meetings in Georgia also mark the beginning of relationships with new African partners — KNCU of Tanzania and Gumutindo of Uganda. CoopSol moves to larger offices in preparation for the establishment of our internal quality laboratory. The 9th AGM is hosted at the Third Coast Coffee Roasters facilities in Austin, Texas. CoopSol organizes the first producer-country-based AGM in Peru with the amazing support of producer hosts, Pangoa and CENFROCAFE/CEPICAFE. CoopSol also successfully establishes a quality control laboratory (“Le Labo Equitable”) in our Montreal offices, to serve as the in-house sample-testing lab. The lab is certified by the SCAA in April (a first in Canada) and hosts a SCAA Cupping Judge Course with instructor, Mane Alves of Coffee Lab International. By July 1st, we move all quality control operations for the coop in-house and are testing all preshipment and landed samples for approval or rejection. Coop Coffees embarks on a Strategic Planning journey to determine the direction of the organization for the next 5 years. The 10th AGM takes place at Just Coffee’s facilities in Madison, Wisconsin. La Tierra Coop joins the cooperative. CoopSol holds its second AGM in a producer country, making it all the way to Ethiopia… and coinciding with the “Run Across Ethiopia” sponsored by OnTheGround and raising funds for schools in Ethiopia. Bill Harris announces his retirement as director of Cooperative Coffees; a BoD hiring team brings on Janet Utecht to take the helm of the CC ship. Long time “CC-insider” EJ Dawson (formerly from Bongo Java) arrives to head quality control and develop systems for the Labo Equitable, further cementing protocols and strengthening the Montreal team within the cooperative. Felipe Gurdian moves up as Green Buyer, while Florent Gout moves to Paris and maintains special project tasks for Coop Coffees. 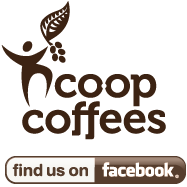 Coutts Coffee in Perth, Ontario applies and is granted membership in the coop. 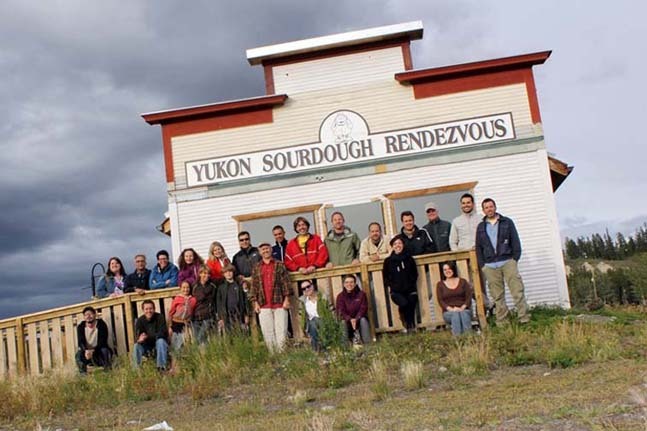 The 11th AGM is held all the way up in Whitehorse, Yukon, in the facilities of our northern-most member, Bean North. Ellen Grace Meredith steps up as head cupper and to manage quality control in the Montreal Lab. Deborah Shea is hired as office manager and communications support in the Montreal office. CoopSol holds its third “in-country” AGM in Chiapas, Mexico with the hosting support of producer partner Maya Vinic. The coop is in leadership transition and Jonathan Rosenthal is brought on to guide the process. The 12th AGM takes place at AmaVida Coffee Roaster in Santa Rosa Beach, FL. Jonathan Rosenthal is hired as Cooperative Coffees Executive Director. For the 13th AGM, we come full circle, back to our beginning with the Annual Meeting held in Minneapolis, MN and the home of Peace Coffee. CoopSol holds its fourth “in-country” AGM and Roya Exchange in Honduras, with some 50 producer partner, roaster representatives and allies participating.